Leslie was born and raised in San Jose, CA. She has been an active part of the dental field for the past 5 years. She has a background of hospitality for over 6 years. Her passion and experience has inspired her to proceed into business management. Leslie is quick to make patients feel at ease by building confidence, trust and friendship with each patient. Her understanding nature, makes it easy for patients to feel comfortable. In her spare time, she enjoys spending quality time with her family and two daughters. Kelly has over 15 years of experience being a dental hygienist with kids and adults. Her goals are to help her patients achieve a better healthy smile with high quality care. Ericka has worked in the dental field since 2008. She smiles a lot at work because she enjoys being an assistant; being able to help the doctor and the patients. She is from the Philippines and one of her favorite things to do is visit every summer. Ericka likes to spend her spare time with family and friends. Yesenia is originally from El Salvador but raised in Arlington, VA. She has over 9 years of experience. She started as a dental assistant where she quickly became passionate about dentistry. 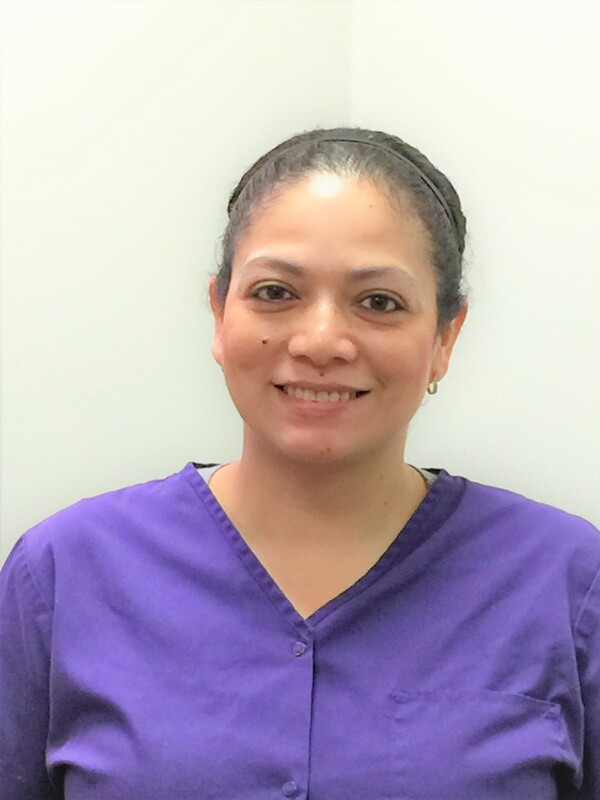 Yesenia also has a lot of experience in assisting specialist in the dental field. She enjoys talking to patients and helping them reach a healthy smile.